Ottawa, ON – June 15, 2017 – Pythian, a global IT services company that helps businesses adopt technologies to better compete, announced today that Creative Media Works, operating as BBM Messenger, has selected Pythian to help them move their mission-critical IT infrastructure for Android, iOS and Windows consumer BBM from BlackBerry on-prem data centers in Canada to Google Cloud Platform (GCP) in Asia. BBM is one of the largest mobile messaging applications in the world. Since it was created in August 2005, BBM has evolved from a pure messaging application (text and video) to a social ecosystem unifying chat, social, commerce and services including bill payment, top-up, vouchers/coupons, games, video, comics, shopping, travel, career and polls. In order to accommodate a significant increase in media consumption by its global users, and to improve performance across key markets, BBM recognized that migrating its databases to the cloud was a business imperative. The company chose Google Cloud Platform as their cloud platform and enlisted Google to help them find a services provider that had experience with both on-prem data centers and Google Cloud Platform to migrate their complex IT infrastructure to the cloud as quickly as possible. BBM also aligned with Pythian’s delivery model. “We need a partner who shares our urgency, and can accommodate our needs as our business evolves in both North America and Asia. Pythian’s remote work model allows us to scale up as required on short notice and even around the clock, providing the flexibility that we need,” said Matthew Talbot, CEO of Creative Media Works, the company that operates and runs BBM globally. 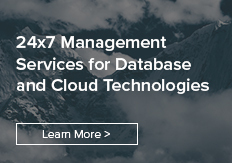 Pythian puts its full stack experience to work to go beyond traditional “lift-and-shift”, architecting a cloud solution that will be automated and take full advantage of the agility and scalability of GCP’s cloud services.